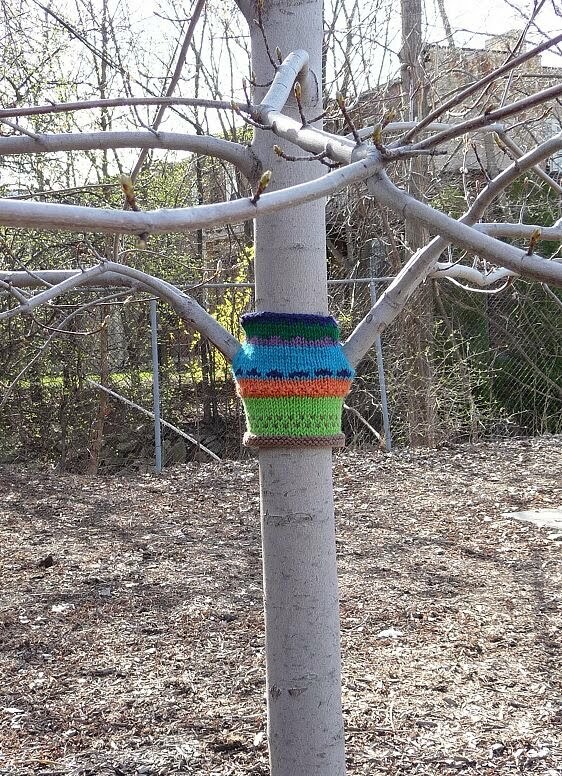 Yes, there it is; the tree sweater! 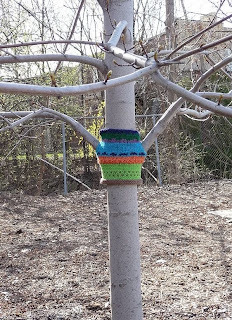 No, there is no purpose for this other than something else to knit and to perhaps get a smile from someone enjoying their lunch in this small Detroit park. This little park is 3 houses from me, so it was an easy decision to put it there. Yes, senseless hours went into creating this masterpiece and for what? My own giggle of course! Begin as one continuous flat piece until the bottom of the "arms" begin at which point I dropped the yarn after knitting one row to the right of the arm (in this case it was the light blue). Then I added a new blue for the trunk and a third blue for the left side of the far left arm. It sort of looked like a "W". So when I put it on the tree there were no holes for the arms just slits all the way to the neck. 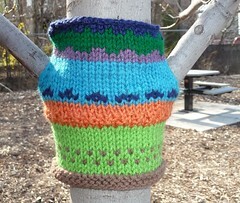 The sweater just got it's first good outdoor test since it just rained cats in booties and dogs in sweaters with thunder and lightening too... OH MY! Here a few more pictures for amusement. 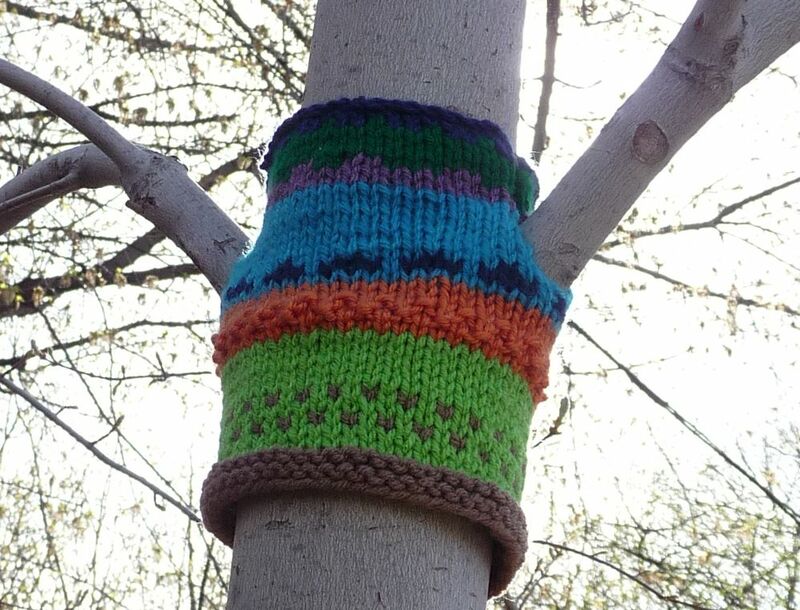 so ooo cute.. the tree looks much ALIVE!